​Would you like to delay your tax payments? Would you like to delay your provisional tax payments up to a year? TMNZ ( Tax Management New Zealand) can help you. If you have overdue taxes, TMNZ may be able to help reduce penalties. 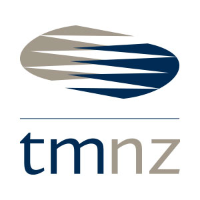 (Tax Management New Zealand) TMNZ is New Zealand’s leading tax payment intermediary. Its clients include thousands of small and medium-sized businesses as well as some of New Zealand’s largest banks, state-owned enterprises and well-known corporates. TMNZ sets the very highest security standards for reliable and secure management of its clients’ tax payments. Pioneers of tax pooling and New Zealand’s largest tax pooling provider. Helped more than 26,000 businesses save over $160 million in IRD compliance costs. Consistent record of innovation and service with unmatched tax pooling knowledge and experience. TMNZ has the largest tax pool in the country, which means TMNZ is in the best position to help you with any historic liability arising from a tax audit or voluntary disclosure. You can save up to 30% on interest costs and eliminate late payment penalties altogether if you have provisional tax or terminal tax owing to IRD. ​You can earn interest on overpayments (more than you would through IRD), move the funds forward to the next financial year or even draw on it as a line of credit. ​You can reduce your exposure to IRD late payment penalties and can save up to 30% on IRD interest by using TMNZ. This includes for missed, underpaid or future provisional tax payments. You can pay provisional tax whenever you need to and TMNZ makes sure everything is settled on time with IRD. You will get greater flexibility and control. ​You can save up to 30% on interest cost by using TMNZ if you have more tax owing to IRD as a result of a tax audit or voluntary disclosure. You can take care of any type of tax-PAYE, FBT, GST, RWT, NRWT, terminal tax and provisional tax with TMNZ Tax Audit. If you make a donation of $5 or more, you can claim up to a third of the amount back from IRD. You can still claim for a donation if you made the donation and forgot to claim that year as long as the donation was made up to no more than three years ago and you were a tax resident at that time. You will not have to fill out IRD's form or even provide receipts in cases where TMNZ can verify your donation directly with the charity. One of TMNZ's key values is supporting charity, which is why TMNZ work closely with charities to make sure they get even more money than they normally would. Smart Donations is its way of giving back to the Kiwis who need it most.